Johannesburg - The rand advanced to a three-month high against the dollar as delegates at the ruling African National Congress’ conference elect a new leader. Traders are betting Cyril Ramaphosa will win after gaining more branch nominations than his opponent, Nkosazana Dlamini-Zuma. Ramaphosa, the Deputy President and one of the wealthiest black South Africans, has pledged to revive the struggling economy and stamp out corruption. Dlamini-Zuma, the former chairperson of the African Union, has echoed President Jacob Zuma’s call for “radical economic transformation” to redistribute wealth to the black majority, a shift investors fear may blow out the budget deficit and spark rating downgrades. 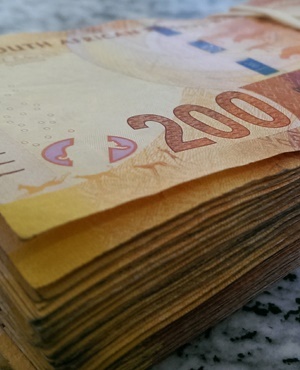 The South African currency gained 0.1% to R13.0820 per dollar as of 06:53 in Johannesburg, the strongest level since September 12 on a closing basis, according to data compiled by Bloomberg. Against the euro, it approached a five-month high and was at 15.3859. The election results are expected to be announced on Monday. The rand’s overnight implied volatility against the dollar soared to 72%, suggesting traders are anticipating large price swings on the outcome of the contest, which has divided the 105-year-old ANC, weighed on South Africa’s currency and bonds and deterred foreign investment.